As I have only a short period in New Zealand for my honeymoon, so what I must do is to focus on something I want to really see and visit, I have given up some of the places, eg. Wellington, Greymouth etc. One of my regret is I never played the black water rafting in New Zealand due to the short of time!!!! For the driving time shows above, is the minimum time spend on driving with non-stop. Depend on the distance, we need to add-up time for another 1-2 hrs for eating, cleaning or photography. As there are many scenic and stunning landscape on the way to destination, I was always exceeded the estimated driving time as I stopped at some view site for photography when I see the amazing landscaping. 1. Lake Tekapo - to view the amazing landscape, Star watching and astronomy ,Skiing, Horse trekking around Mt John. 2. Lake Wanaka - to view the stunning landscape, have a famous delicious burger. Also, the skydiving!!! 4. 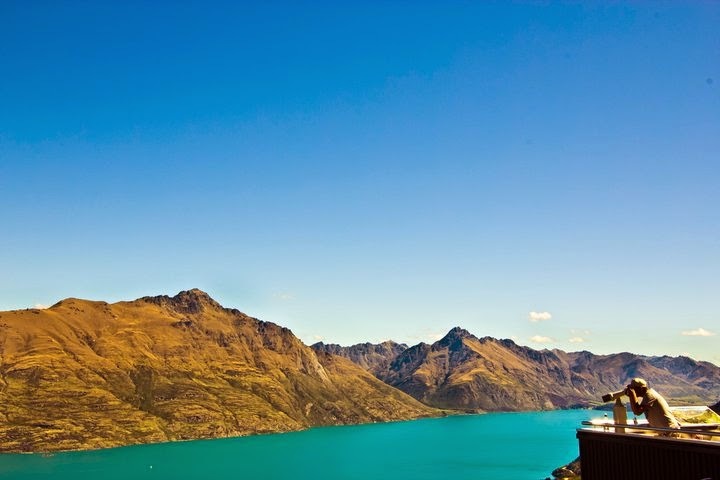 Queenstown - to view the amazing landscape, have a set of unforgettable french fries & burger and many adventure activities available. 7. Oamaru - to see Moeraki boulders landscapes, cute blue penguins. For your information, my itinerary is a fast paced itinerary as the limitation of days, which is not a really perfect one, the East Coast of South Island is not really scenic, you may give up the East Coast. You can refer my proposed itinerary, click here. For your information, the weather in New Zealand is unpredictable even in Summer. Backpacker should always check the weather forecast 1-2 days ahead before reaching the destination in order to change you itinerary immediately if there is bad weather. Based on my experience, Milford Sound should visit when the weather is under good condition otherwise you cannot really see the good reflection of mountain and cannot join the cruise as the cruise will be cancelled if having heavy raining/bad weather. Franz Josef is the same if you want to join the glacier trekking tour, must check the weather before reaching if possible. I experienced that the glacier tour was cancelled because of weather, fortunately, we were able to change to next day and end up with a great day there :). Chanced upon your lovely and saw your helpful posts. 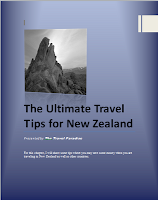 I'm planning to go NZ south island from 15 to 27 April 2013. This is what I have drafted so far. What do you think about it? Well done. If let me plan my trip again, I will do as yours. Overall, nothing much to comment. The only think I need to remind you is that, you must check the forecast weather in advance to make sure the activities (Skydiving & Fox walk)are available. Last time my FOX walk was cancelled due to bad weather, very lucky we were able to postpone to the next day morning. You need to take into consideration changes of itinerary if the bad weather comes. Back up plan is needed. I have used your Ace Rental Car tips and it worked. Thumbs up! I opted the economy category (Nissan Tiida). Saw that you got a white Mitsubishi Lancer. What category was the car from? Btw, I have added an additional day to my itinerary, which means that I will be arriving at CHC on 14 April. What suggestion you have for me to spend the additional day at? I was thinking about christchurch or perhaps Akaroa? The attraction in Akaroa is swimming with Dolphin, you can go if you like. As the distance from Christchurch to Akaroa is about 2 hours, not very far, you can go there if you have extra time after Christchurch. Do you have enough time to spend in Christchurch, I mean on the first and last day. If yes, then go Akaroa. You've got a relatively good car for the super saver. I thought the super saver car would be a old car. For Milford Sound, I'm considering taking a coach from Te Anau instead of driving. From your blog, I noticed that you drove to Milford. Was the drive arduous? Would you recommend me to drive there or take a coach there? When will you be there? What I know that to drive slowly and carefully during winter time. There is 3 hours plus from Te Anau to Milford Sound, not difficult, but just don't and cannot speed. On the assumption that you are young......You have plenty of time to spend in Queenstown and Te Anau. I would suggest you to drive there if you are energetic. However, If you would like to be relax, then can think about the coach and overnight cruise, is costly, to me. I will go for self-driving. Oh ya, you go there in April. Dont worry, easy drive. I'm your neighbour, 29 yr old Singaporean. Hahaha. Since its not difficult, I'll self drive to Milford then. This allows me to stop freely and take some pictures. Enjoy your trip to NZ, a lovely country.